Shopping for Back to the Future Model Kits? Great Scott! It's back to the future one last time to travel to 1885 to rescue Doc Brown! 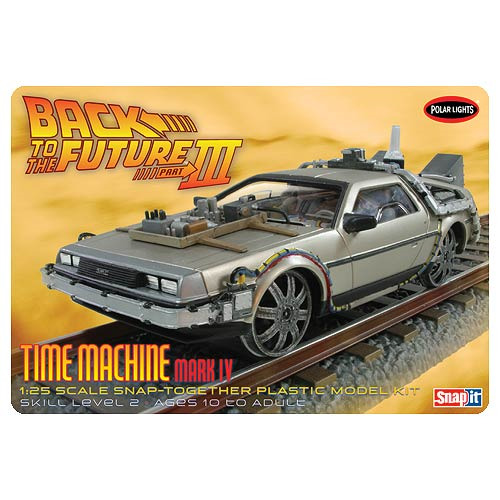 Grab your Back to the Future III Final Time Machine Snap-Fit Model Kit from Round 2 and get busy! This Mark IV version of the classic DMC DeLorean Time Machine features the special rail-ready wheels that were converted for the railroad tracks. No glue required for this model kit. Ages 10 and up.